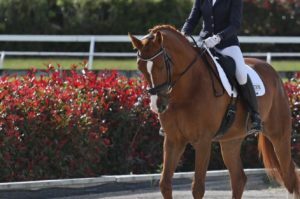 Balance is a word you hear a lot when it comes to dressage and in the training of horses. It’s an essential element to understand and to be able to feel when the horse is in balance. In that, your horse is distributing their weight equally on all four feet and moving freely through their body in balance. We want them carrying as much of their weight on the right side of their body as on the left side. They need to also carry as much weight on their two front feet as they do on their two back feet. It seems simple but it can be a hard thing to understand and to feel because the natural balance of a horse can vary. 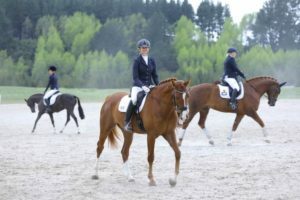 Naturally, some horses may be more on the forehand, while others may become stronger or more dominant to one side than the other and many horses will be a combination of both. When we train our horse it’s our job to ensure they are carrying their weight evenly and equally on all four feet and using their body correctly. This not only helps distribute weight more evenly so they can move freely, but it also helps prevent overload at excess tension on tendons and ligaments. Alongside balance in our training comes straightness, as we start to help the horse develop the muscles and strength evenly on both sides of their body so that their balance improves and equal weight can be carried across all four feet equally. Until the horse becomes straight and equally comfortable using the muscles on both sides of their body, they will be carrying more weight on one shoulder or the other. They will have a stiffer or heavier side and this is normal in many horses and our goal is to improve this and have them equally accepting of the reins on both sides of the body and moving freely and evenly through their body. When it comes to us as riders and you think of the word fit, you may think of things like strength and flexibility. But often what is overlooked is balance. You see if your balance is off, you won’t feel confident and stable in your riding. You won’t be able to use your body to the best of its ability and move freely with your horse. 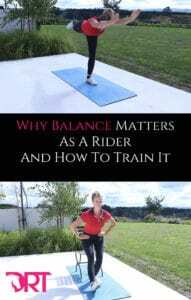 Balance is a crucial component of riding fitness and this is why I want to bring attention to it today and give you some simple ways you can improve it. Every time we take a step we are asking the body to balance from one side to the next. Every time the horse takes a stride we are asking the body to balance from one side to the next. The key when it comes to riding, however, is that our body needs to react with the horse’s movement and not after because if you are constantly reacting after each stride you will be continuing to try and fix your balance versus staying in balance and moving with the horse. Our own balance isn’t something we really think about as riders, but as we age balance does become more of an issue and becomes more of a challenge. So it’s important to pay attention to it today so that you can prevent any unnecessary falls and long recovery times. The more we improve our balance off the horse, the better we will be on. This will not only help that beautiful sitting trot but will also help you stay centred and confident when a horse spooks or has a quick reaction to something. Balance is connected to your proprioception, which is the ability to tell where your body and its parts are in space. Without good proprioception, we don’t have good balance. For good balance with need good proprioception and a reactive neuromuscular system, as well as enough muscular strength to maintain balance. This requires good reaction times and muscle coordination. It’s for this reason why I bring all this into our Dressage Rider Training program and include swiss ball work. With the swiss ball, we are increasing the firing of our muscles within a dynamic environment, similar to that when we ride. Great for understanding where our body is in space and our reaction time. All of which improve balance. Our body is a system of systems and balance doesn’t exist in a vacuum, so you don’t just train balance. However, when you work on balance alongside body control, proprioception, mobility, and more, you’ll be far more balanced as a rider and more confident in the saddle. This is what our 12 Week Dressage Rider Training Program is all about. However to get yourself started today, here are some exercises to try. This is great for improving your cross chain balance, ie your left and right diagonal pair, because often one will be much more dominant to the other. In dressage we want to create this balance as even as possible. Standing tall, reach your right hand down to touch your left foot, balance the left hand to the side and as you do this lift your back foot. If you need to though, keep the back foot down until your balance improves. Aim to do 10 each side, nice and controlled. This is great for improving the balance in the muscles that help stabilize your pelvis as well as improving even strength through both legs. Step your right leg back with your left forward, like the photo. Lift up nice and tall through your spine while maintaining your neutral spine, then lower the back knee down towards the ground. Aim to travel straight down and straight up, with no movement forward or back. Aim to do 10 each side. Another great exercise to compare strength on your left side verses your right. Awesome for improving the even strength. Sitting on the chair, have your left foot underneath your left knee and extend your right leg out in front. Then aim to push through your left foot up to standing. If its too much you can press some weight through your right foot or use a chair/wall for support. Aim to build the strength up to be able to do this evenly on both legs. Aim to do 10 each side. A test of your balance and stability. Stand up tall and lift your left foot up to rest on your right leg, either below the knee or above. Try and maintain an even pelvis and shoulder line while you maintain this position for 30 seconds. Great for improving the strength of your back and testing how even this strength is on each side. Standing tall, reach your hands over head and then tip forward from your hips, allow the back leg to lift up and try to create a straight line from hands to toes. If its too much to start with, just have the back leg lower or resting lightly on the ground. Try and do 10 each side. Another test of your balance and stability as well as mental focus. Standing tall, reach your left hand back to your left foot and hold this, aim to maintain your balance for 30 seconds and repeat on the other side. A test of coordination as well as stability and balance through your diagonal pair. Standing tall, lift your right knee to your left elbow and then rotate to the other side. Try and do this slowly and at the rate of your breath. Do 10 each side. So there you have a nice variety of exercises to really help highlight and improve your balance. Do it as a circuit and repeat it a couple of times per week and notice your balance improve over time. 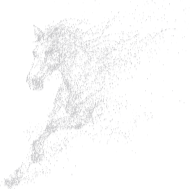 To take this further and really improve your rider fitness, be sure to check out of 12-week Dressage Rider Training program. Step by step building the foundational layers to help you improve your stamina, suppleness and stability on the horse. Learn more about it here.